iSpy is great alternative for monitoring several cameras at the same time with one computer. It has good set of features, like automatic record after motion detection etc. This entry was posted in Anvanced Tools, Recommended Free Tools, Security Products and Solutions. Bookmark the permalink. 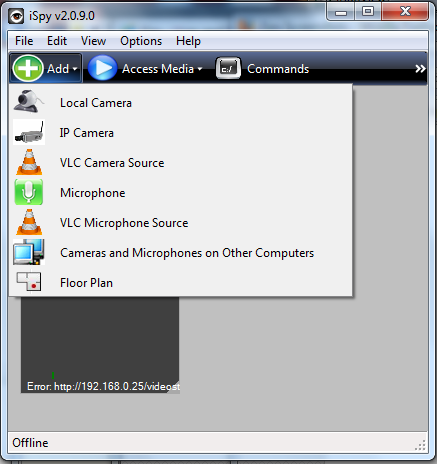 Give IP Camera Viewer a try. It’s a great little product that lets you view your cams quickly and for free. The interface is intuitive and it works well with every model of IP & USB camera.